How do you usually receive payment overseas? If you are a blogger or an online marketer, chances are you’re using services like PayPal, Payoneer, and/or direct bank deposits. If you are, read on to learn something interesting that may help you save money. On 1st December 2016, ShoutMeLoud will be 8 years old. It also means that for the past 8 years, I have been making money online. 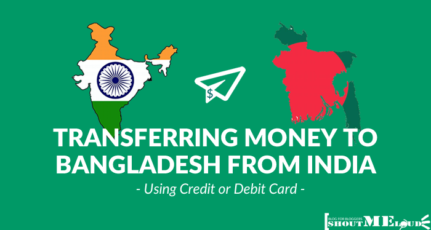 During the initial days, I had limited options when it came to receiving overseas payment. This is why I never really worried about the “service” fees for sending or receiving funds. Thanks to growing technology & new companies like Payoneer, Skrill, and Transferwise, I started to pay attention to these added fees. In addition to Paypal, one of my other favorite payment services is Payoneer. They work a lot like PayPal where you can send and receive money overseas. But what really creates a difference between Payoneer & PayPal are the transfer fees. 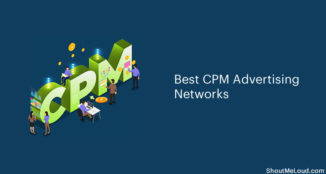 In this guide, I’m going to highlight some of the differences between these services, and show you an example of the fees involved in one transaction done via PayPal & one done via Payoneer. Payoneer vs. PayPal: Which service is best? I started using PayPal in 2008 & Payoneer in 2013. Since then, I have been consistently using both the services to receive payment from the U.S., Europe, and many other parts of the world. Both services are reliable, excellent, and offer a great customer experience. However, it would be wrong to call both services the same because both of them work very differently. When you create a PayPal account, the email account you signed up with will be used for sending and/or receiving payment. You can also link your bank account with PayPal so that you can take the money you’ve received in PayPal and put it into your local bank account. When you want to receive payment, you simply share your PayPal address with the person, and he/she can send you money to your PayPal email address. Simple, isn’t it? PayPal also supports a wide range of currencies which makes it easy to use in a worldwide situation. Users (from many countries) can store money in their PayPal accounts. For example, if I send you $100, you can store that money in your PayPal account. For making future payments, you can use that $100 directly to make payment. However, this feature is not available in many countries (like India) due to government regulations. PayPal offers many other features such as a payment gateway which can be used to sell stuff online, run a membership site, and do various other activities. When you sign up for a Payoneer account, it will link to your local bank account. If you need one, Payoneer will give you a local bank account in the USA, Europe, the United Kingdom & Japan. 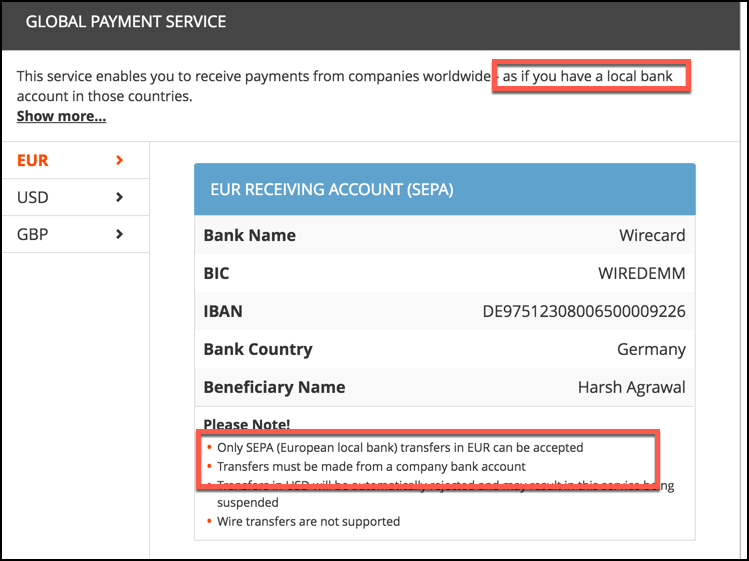 When you have to receive payment, you simply share the bank account details given by Payoneer (found under your Payoneer dashboard). One benefit of this is you won’t lose money due to multiple currency conversions. You are from India & you receive a payment from Amazon U.S. using Payoneer. Amazon will deposit that money in USD into your Payoneer U.S. account, and then Payoneer will transfer & convert the money into your local currency, which you can withdraw into your bank account. The above example is crucial for you to understand, as this is one big step that helps you save a lot of money which you otherwise would lose due to double currency conversions. Both of them have their advantages & disadvantages in certain scenarios. You should really choose which one to use on a case by case basis. Most affiliate marketing companies, ad agencies, and online services use PayPal. In certain scenarios, when you have an alternative option to get paid using Payoneer, do the calculations and see if it makes sense. In a majority of cases, Payoneer will help you save money. But again, this only makes sense if Payoneer is a viable option. 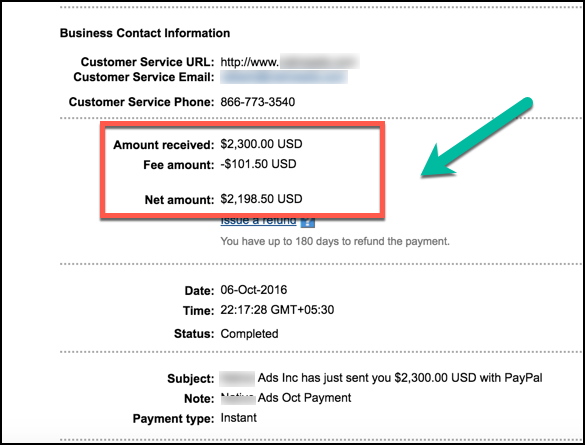 For receiving $2,300 from the U.S. to India, while using Payoneer, I saved about $142/transaction. In one year, that’s $1,704! $1,700 a year is indeed a considerable amount of money which I was otherwise losing by using PayPal to receive this money. As I said above, you should have & use both PayPal and Payoneer accounts. Whenever possible, you may want to consider using Payoneer to receive payment. 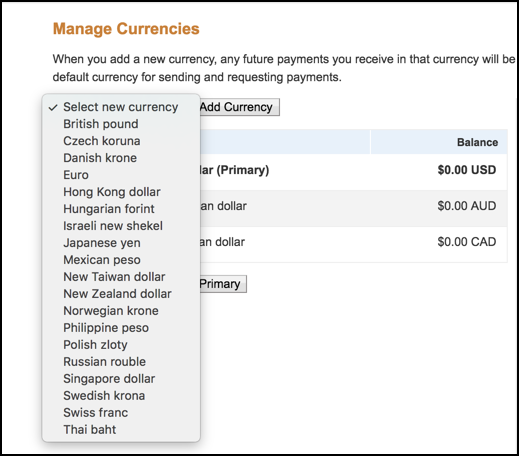 Unlike PayPal, Payoneer offers services in select currencies. If you are receiving money in USD, Euro, GBP, or Japanese Yen, you should try using Payoneer & see if it helps you to save money or not. In my testing, Payoneer definitely helped me to save a big chunk of money over PayPal. If you have the chance to switch to Payoneer for receiving and/or sending certain payments, you should not miss the opportunity to do so. What are your thoughts on PayPal vs. Payoneer? Has Payoneer saved you money? Let me know in the comments below! Thanks for writing such an excellent detailed article about Payoneer. I have signed up for its service after reading your article. 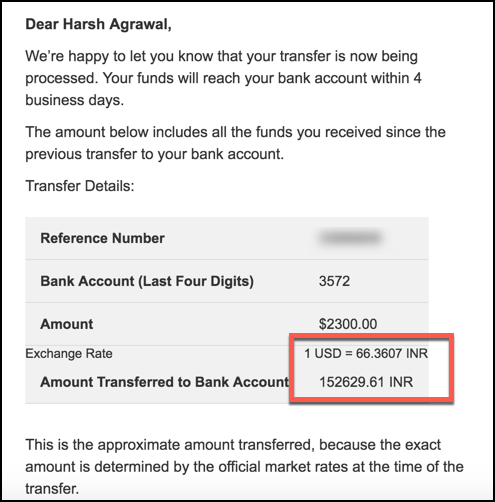 And you have mentioned that there is no charge unlike PayPal for every transaction made from Payoneer to local Indian bank (USD to INR) However, in Payoneer’s website, it mentioned that a 2% conversion rate would apply for each transaction made? Could you please clarify this confusion. I had been using Paypal for a long time even though I’d Payoneer too. When the Payoneer was first launched I was not sure if it’s gonna work or not. But later I found if you know how it works Payoneer is quite good. I love to buy domain names using the card’s details when by using Paypal we are not able to purchase. So, my experience is Payoneer Master Card I save approx $5 on each domain and other discounted products. Yes, i also think payoneer is far better than paypal. Hi Harsh! Thanks for sharing such a useful Information. 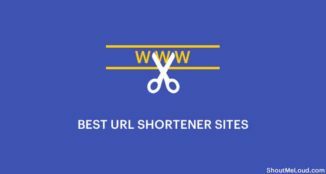 It really helped me for Saving Extra Money. Yes by reading this article i am agree with you . My last payment on paypal was 1200$ in which they cut approx 100$ and in same time i received 400$ on payoneer and there is no fees by them. Paypal has best refund policy but payoneer doesn’t .That’s the issue if i am a buyer . Payoneer is very good. I have been using a PayPal account in the USA that I bought from Auction Essistance since PayPal isn’t supported in my country Pakistan. PayPal eats a lot of fees which is why I switched to Payoneer. I agree with you that Payoneer is more beneficial than PayPal. But this is also a matter of the fact that PayPal is almost universal accepted. Also, Payoneer sometimes doesn’t allow individual payment for some account. Yeah I agree, Payoneer is better than Paypal. Paypal cut more commission than the Payonner and take much time. It’s just an old brand and it does not always true that old one should be the best one.